When the temperature gets hotter, it can be tempting to grab an ice cream or ice block that is high in fat, sugar and calories. 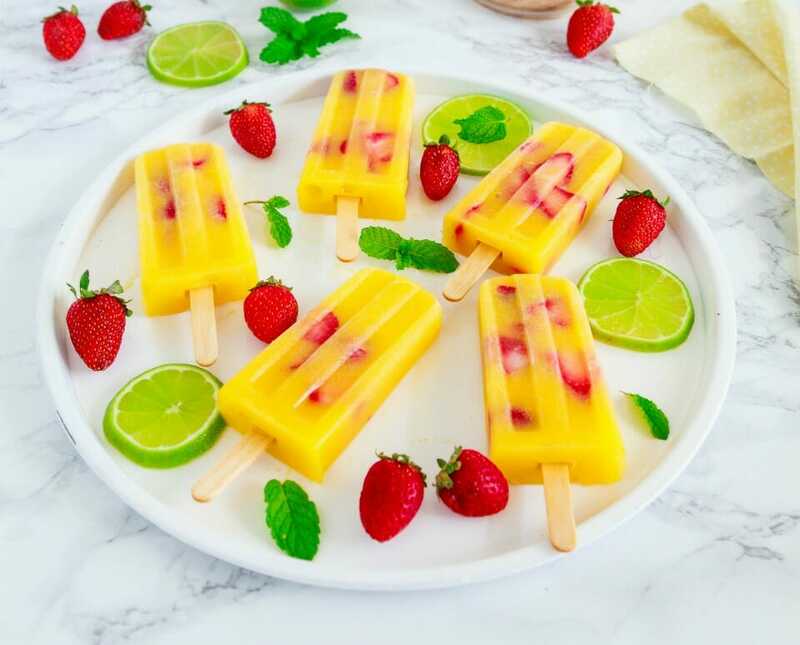 Below we have created a tasty home made icy pole recipe with natural ingredients, no added sugar and no additives at all. The choice is yours whether you choose to add water, yoghurt or coconut milk to your fruit. Either way, you’ll be enjoying some refreshing fruity goodness in no time at all. All you need are some ice block moulds which are available at most supermarkets and discount stores. Place the mango, lime juice and water into a blender and puree until smooth. Throw the chopped strawberries in (without blending) just before pouring the mixture into the moulds. Makes: 4 depending on size of moulds. Want to take the guesswork out of what to have for your meals and snacks while you lose pregnancy weight? Join the next 28 Day Challenge where you are given recipes for healthy breakfasts, lunches, dinners and snacks each day. Melissa has lost 5.2st by following 28 Day Weight Loss Challenge, with healthy eating and exercise.